Break-ins can be both expensive and frightening. Alarm sensors and alerts help you reduce the risks of burglary. The risk of burglary can be reduced in a few simple steps; Most burglaries happen when the cabin is empty. Making it seem like you’re there is perhaps the most efficient way of keeping potential intruders away. Leaving the curtains open and cups, plates and papers out makes it seem like the cabin is being used. Don’t leave valuables in the open, as they only give burglars added incentive. Valuables should or stored in a safe, hidden place. Dogs are often a bigger deterrent than signs advertising an alarm, so leaving a water bowl and a chain by the door is a good idea. Not all burglars bring their own tools. You should always store your own tools behind a locked door. 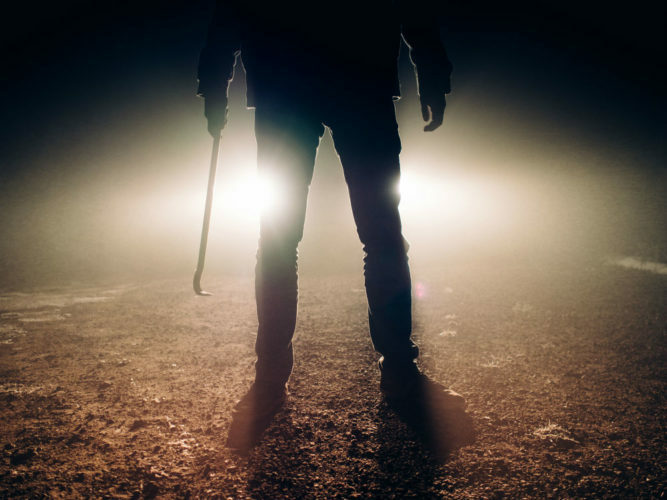 Installing outdoor lighting with a motion sensor is a good idea, and might be enough to scare a potential intruder away. Our motion and magnet sensors provide added security. Magnet sensors can be installed on doors and accessible windows, while the motion sensors detect movement inside the cabin. Both sensor types can easily be integrated in an existing DEFA Cabin Control system. Burglars usually enter through the front or porch door, or a easily accessible window. By installing sensors you’ll be alerted immediately, and you’ll be able to call the police or security provider. With lights and a radio connected to a Base Unit Socket you can turn the lighting and sound on and off, even when you are not there. Agree with your neighbors to mow each others lawns, remove snow and collect mail. This gives the appearance of the cabin being visited regularly. A good neighbor will also raise the alarm if he or she should see something suspicious. It’s important to know what valuables you have in your cabin at any given time. This makes making an accurate report to the police and your insurance company much easier and also gives you a sense of control. Pictures and receipts are also helpful.